Fitness Connection is one of the newest fitness centers in the United States. It has only been recently established, but its fast growth has made it one of the top biggest gym chains in the U.S. It has over 30 locations nationwide that provides various types of training – from group exercises to personal training, gym equipment, and other amenities to fit different fitness needs. 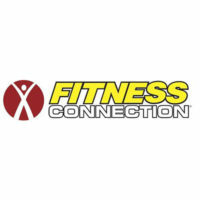 The name Fitness Connection has been in use since starting August 2011. Prior to that, this fitness center was known as Gold’s Gym. It is now one of the fastest growing fitness centers in the United States. Fitness Connection has a $500 million private equity fund that is managed by a number of executives that can help develop local chains into achieving national top-five brands. This gym chain has its main location in Houston, Texas. It also has several branches in other locations such as Nevada, Raleigh, Greenville, Charlotte, Dallas, and Austin. Benefits of Joining Fitness Connection / Why Members Like Fitness Connection? Being a part of the Fitness Connection community gives members the opportunity to enjoy their facilities at a reasonable price. This means that members can make use of the pool, work out on the latest equipment, play basketball, and seek advice from fitness experts. This fitness center promotes a full health and fitness experience due to the physical and nutritional aid it provides. Fitness Connection is an IHRSA member (International Health, Racquet & Sports club Association), which means that members can have access to about a thousand other health clubs for free or at a discount. Fitness Connection provides their own personal trainers to help members achieve their fitness goals or to aid them to live a healthier lifestyle. Personal training can only be done by certified Fitness Connection Staff. Small group training has started to become more popular in the gym, making it more affordable to get trained while experiencing a fun type of competitiveness during workouts. Fitness Connection is a place that is open to everyone – from fit and muscled gym rats to newcomers who want to switch to a much healthier lifestyle. It is a gym that provides members with the basics such as treadmills, weights, and other equipment. It also has lockers and showers available for everyone. Fitness Connection also has a women’s only workout section that contains the same equipment found in the main workout area. Some equipment are even designed for a woman’s physique. For people who want to bring their kids with them to the gym, a kids area is available that offers play areas, movie and gaming areas, an area for infants, and even a homework or craft area. The club also provides excellent amenities for to make people’s workout experience more dynamic. Members are not allowed to use personal speakers or any personal workout equipment anywhere inside the gym. Monthly membership fees vary depending on the type of membership. For the single membership, a monthly fee of $9.95 is paid. An all access club membership costs $19.95 per month. Annual membership costs also vary, with the single membership costing about $249.00, and the all access club membership costing around $299.00. Registering for monthly memberships would require an enrollment fee of $99 for single membership and $29 for all access clubs. Annual memberships have no enrollment fee. Fitness Connection does require any cancellation fees, but they do require their members to send a written notice within 30 days before cancelling the membership. For those who want to try working out but are not yet ready to fully commit, Fitness Connection offers a 5-day free trial for all their facilities. Members are also allowed to bring a guest with them but the pass must be pre-arranged. The guest can use the facilities once in 4 months, 3 times a year. Guests have a daily fee of $15. Fitness Connection has a Fit Flix Theatre, making your cardio workouts more fun. Watch movies while you burn calories and you won’t even notice how far you have reached. This fitness club also has racquetball courts and indoor basketball courts, perfect for those who like to exercise in groups and want to add a little game in their workouts. Saunas and steam rooms are available in the club, a perfect post-workout treat for a stress-free and refreshing feeling. Tanning beds are also provided for members who want to get that yearlong summer glow. Fitness Connection offers various classes to fit the members’ different needs and interests. Some of the classes they offer are the abs class, aquafit, cycle, fitness dance, kick boxing, pilates, “pool”ates, yoga, and step classes.